The latest version of Samsung mobiles Drivers packs for all type of Samsung mobile (Android and Java). 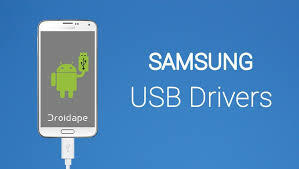 Samsung USB drivers allow you to connect your phone with PC and share data between PC and mobile via USB cable. Android phone's need to allow Android USB Debugging option to connect USB and share data or install app,s or backup app,s on Your PC. windows have two types of OS Windows 32 bit and windows 64 this pack of driver work,s both types of windows so you don't need to search 32 bit or 64-bit driver. if you asked that question for google then google tell you that A device driver is a small piece of software that tells the operating system and other software how to communicate with a piece of hardware. In other words, we can say that diver is a hardware information file or software about the device for windows. Samsung USB Drivers for your windows 7 or windows 8 and connect with internet then when you connect your smartphone with PC windows will star automatically start downloading driver form internet but it tack a long time and you did not backup it. OK if you want to backup for next time and quick install driver of your Samsung device then click on download link below.